UPDATE: The Polk County Sheriff's Office has issued a press release regarding this incident. You can read that by clicking HERE. 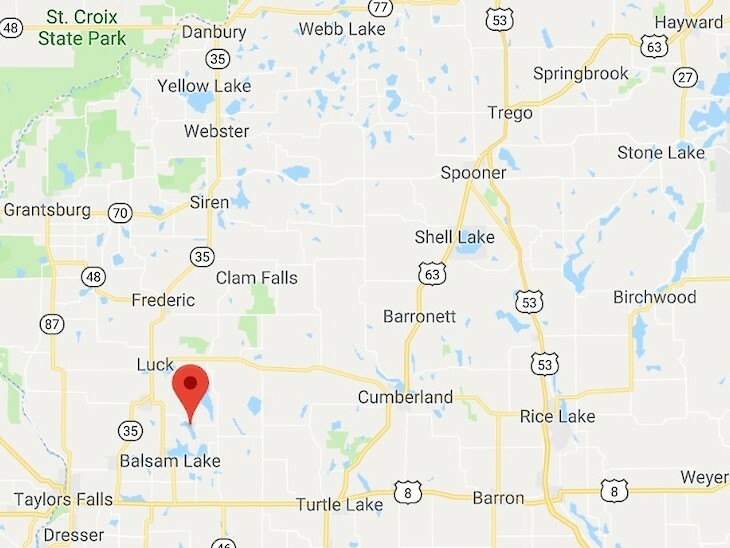 POLK COUNTY -- A family dog was discovered partially skinned and mutilated in Polk County last weekend near Half Moon Lake. The following is a submited article explaining what happened. 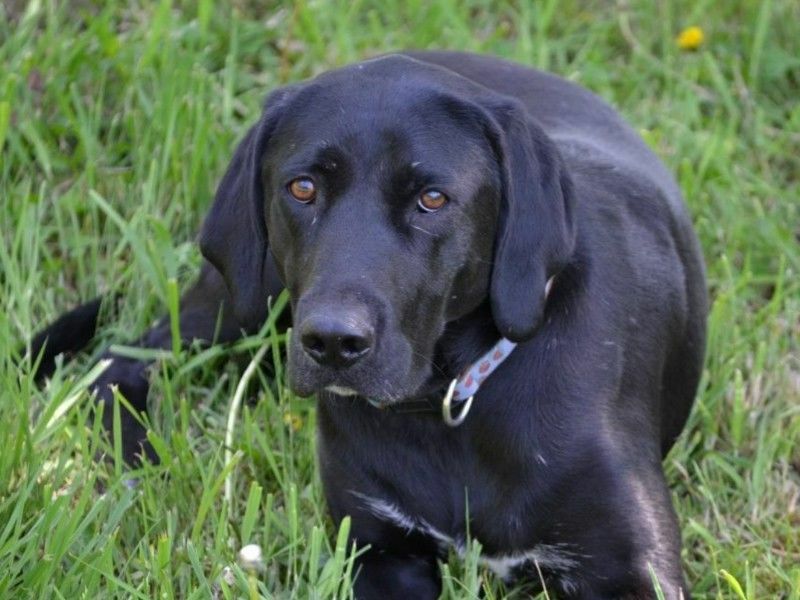 Last Saturday night, November 24, several hours after dark, my family’s nine-year-old dog, Sally, went missing. She went out to go to the bathroom before bed and never returned home. I found Sally laying on the side of County Road G near Half Moon Lake with a large gunshot wound in her hindquarters. Large sections of her body had been skinned and mutilated. Sally had been wearing a collar with an electronic monitor, which was missing. I later found her collar smashed and thrown in the ditch on the opposite side of the road about 100 yards from where I found her laying. I can only assume that the coward or cowards that shot Sally realized she was wearing an electronic collar that might contain a GPS tracking system and were afraid they would be caught, so they smashed her collar and threw it out, and then hastily and sloppily tried to hide their crime and make it look like she had been hit by a car. Sally was not a threatening or intimidating dog. Our family, friends, and neighbors that spent time with Sally know she was a sweet and loving pet, and never showed any signs of aggression. We adopted Sally as a puppy within a month of moving into our house, and she was always a gentle soul and a little bit afraid of everything. We laughed that the first time the UPS truck came down our driveway when she was young, Sally ran and hid behind a tree in our backyard, and she continued to do that for years. In fact, it appeared from the bullet wound and the way that it entered her body that she had been running away when she was shot. Most importantly, though, Sally was my seven-year-old son’s constant companion and best friend. They spent every day together. When we buried Sally, my son gathered up the tennis balls she loved to fetch and placed them in her grave alongside her. Not only is he heartbroken and angry that his best friend has so viciously been ripped away from him, but he is afraid now. My family has lived here peacefully for nine years. In that time, we have never once had a negative interaction or complaint from one of our neighbors. We have always felt safe here and have been working over these past nine years to build a lifelong home for our family. That sense of safety, and that love for this place, has been shattered. It is unthinkable that someone would commit such a cruel and malicious crime in our neighborhood, and we want all our neighbors, especially those that have their own pets, to be aware that this happened here and to be especially vigilant in protecting their pets. I wish now that I had done a better job of protecting Sally. After so many years, I never worried about something like this happening to her. She never ventured out of our immediate surroundings, she was cautious of the road, and she seemed well-loved and appreciated by our neighbors. I am shocked and devastated that someone felt they had the right to end her life so senselessly, without any warning or regard for the people that loved her and made her a part of their family.